This time, we will explain what you should think about when you buy your first Iaito, please refer to the point below. Please begin with consulting the Sensei and Senpai of the Dojo where you are learning Iaido. Depending on the style or Dojo you are practicing in, there might be certain preferences regarding length and weight of the Iaito. If there is rules for the length or weight, you should take these into consideration when choosing your Iaito. 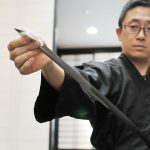 Even if there is no specific rules for the length of weight of the Iaito, you should be able to get some advice for how to choose an appropriate Iaito. 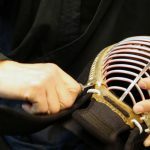 If possible, you should ask your fellow Dojo students to try to swing their Iaito before buying, so that you can get a good feel of what kind of length and weight that you prefer. If you have a chance to buy it directly in a store, you should refrain from going by yourself. Please bring your Sensei or Senpai with you, especially if you have just begun practicing as they can give you advice according to the traditions of your style and Dojo. It is also a good idea to bring your Obi with you. 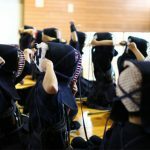 The reason for this is that you can not only try the Iaito by doing Suburi, you can try to do Tai-tō to get a feeling of the Iaito in that position also. Unless there are specific requirements or rules regarding the length and weight of the Iaito, you should choose an Iaito that is easy for you to use. Most stores will have a size chart with general recommendations regarding the length of the Iaito, so please use that as a reference. Most charts are based on height, but as everyone is different, some people might have longer or shorter arms, and thus might want to take that into consideration when choosing their Iaito. If you stand straight, spread out your arms with open hands, supposedly, your height should be about the same as the distance in-between the tips of your middle fingers with your arms spread out in this position. In some cases using the measurement of your arms might be a better estimation for the Sword length rather than your actual height. For example, if you are 170cm tall, but the measurement of your arms is about 165cm, you might want to consider choosing an Iaito that is good for someone who is 165cm tall instead of 170cm. Also for beginners, in most cases, it is a good idea to choose an Iaito that is about 5 Bu(~1.5cm) shorter than recommended. 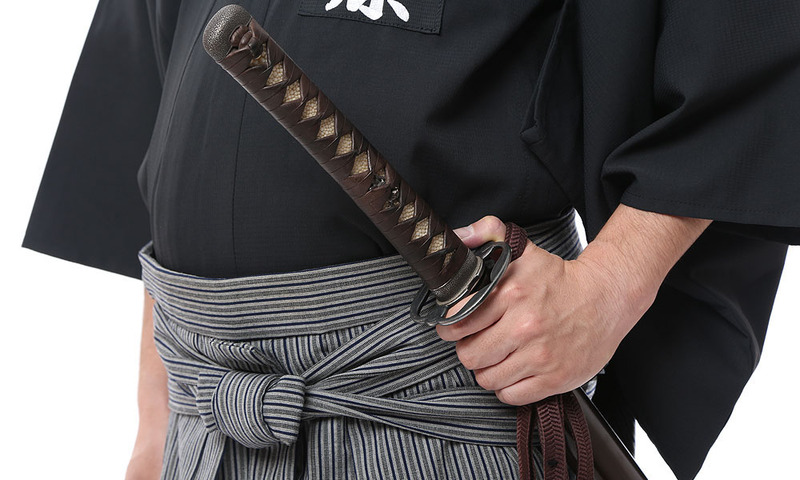 As a beginner, it might be hard to draw your sword when it’s hanging from your waist sometimes, and if you buy an Iaito that is too long, it can lead to injury or bad habits as a result of the mismatch. Even 1cm can make all the difference when you hold the Iaito, so if you don’t have any restrictions, we recommend that you choose an Iaito that is slightly shorter than you need as a beginner. For beginners, we generally recommend that you choose a lighter Iaito. This is because suddenly using a heavier and more realistic Iaito might cause stress to your body and eventually lead to injury. There is no need to overdo it, choosing a lighter Iaito to begin with so that you can get used to the weight first and, if needed, increase it later by getting a second Iaito when you are more experienced. Please refer to the weight chart to see the approximate weight of each blade length. If you buy the Iaito in a store, please ask if you can try swinging it to feel the balance. 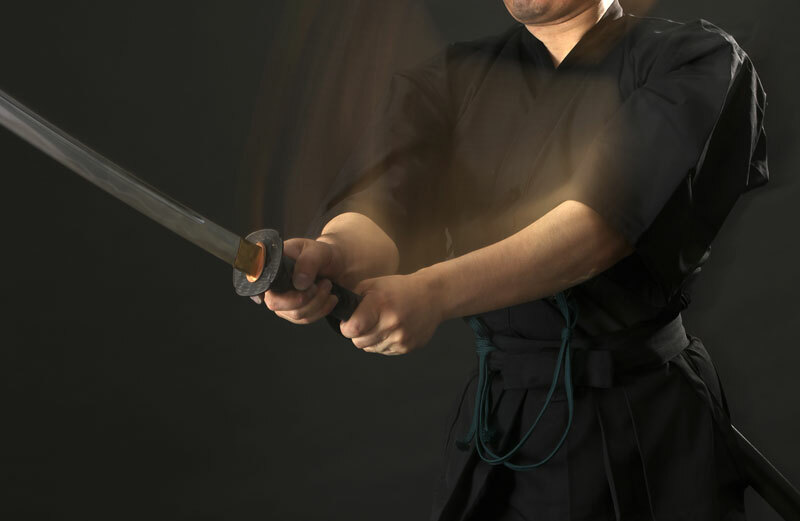 Some Iaito are more balanced towards the Tsuka and some are more balanced towards the tip of the blade. The preferred balance varies from person to person, so please try out a few Iaito and find a balance you like. Beginners as mentioned before, can ask their Sensei to come with them to provide advice in these matters. The most important is choosing an Iaito that you feel is easy to swing. 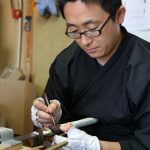 If you buy the Iaito online and know what kind of balance you prefer (for example having the center of balance more towards the Tsuka or the blade tip), you can try to consult the seller, in the case of Tozando as we make our own Iaito, and your preferences will be taken into consideration when our craftsman makes your Iaito. The size and shape of the Tsuka is mainly decided by the size of the Fuchi/kashira. If possible, you should try to grip the Tsuka to feel for yourself which type and size you prefer. 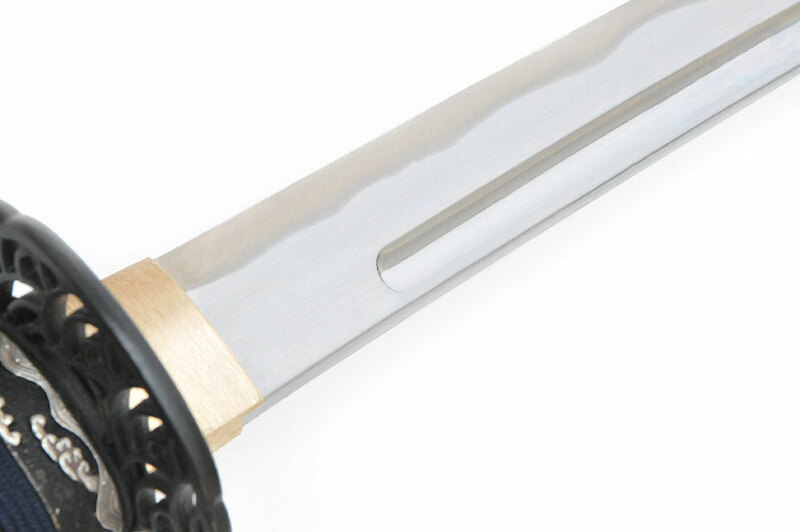 If your hands are small, you might consider looking for an Iaito with a slimmer Tsuka. If you buy the Iaito online, sending an outline of your hands might also be a good idea. Depending on the quality and material of the Tsuka-ito used to wrap the Tsuka, the feeling you get when gripping it will vary. In general cotton and silk strings are used for the Tsuka. Cotton Tsuka-ito is very durable and since they don’t become slippery even when soaked with sweat, it is generally recommended for beginners or people with sweaty hands. On the other hand, because of this there is a bit of friction and roughness when holding a Tsuka wrapped with cotton Tsuka-ito, so if you would like something that feels a bit smoother to touch, you might want to consider choosing a Tsuka wrapped with Silk Tsuka-ito instead. Silk Tsuka-ito is very beautiful, emitting a very glamorous shine. It’s also durable and feels very nice to touch. 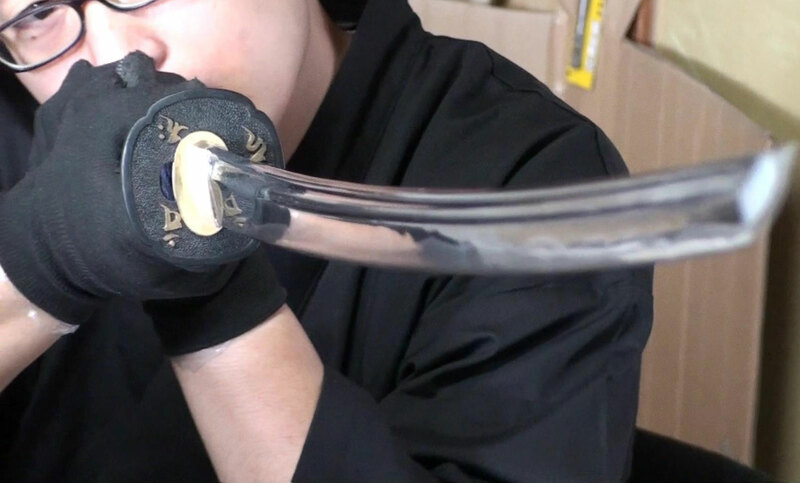 However, it is comparatively less durable compared to Cotton and because it’s smooth, some people with sweaty hands might feel like the Tsuka becomes slippery after using it for a while. Both materials has their pros and cons, and which you prefer is very individual, but in general we recommend cotton for beginners. Saya lacquer is largely divided into two groups, the glossy type and the matte type. 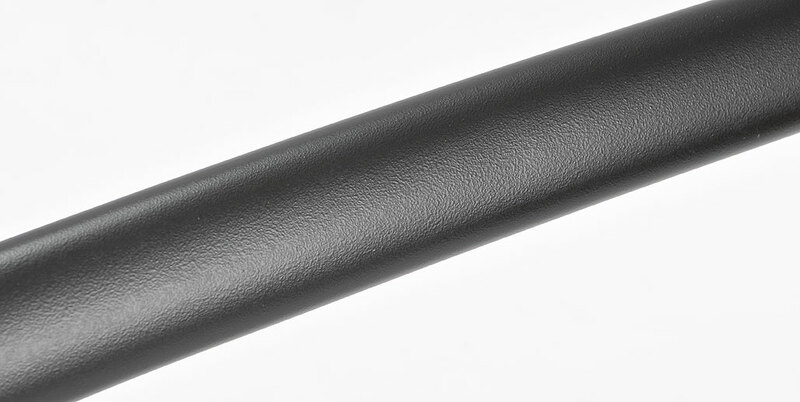 For Iaito, it’s generally recommended for beginners to choose a matte type of lacquer for your Saya. This is as it’s easier to grip the Saya and because it doesn’t attract finger prints, like a glossy type typically would, making it very practical and easy to use. Glossy type lacquer although very beautiful to look at, is a bit harder to use due to being very smooth and also easily gets dirty, especially during the warm months of the year and your hands are sweaty, so you might want to consider glossy type of lacquers when you become a bit more experienced. In the end, the best is to choose an Iaito that you think feels good to grip and swing. 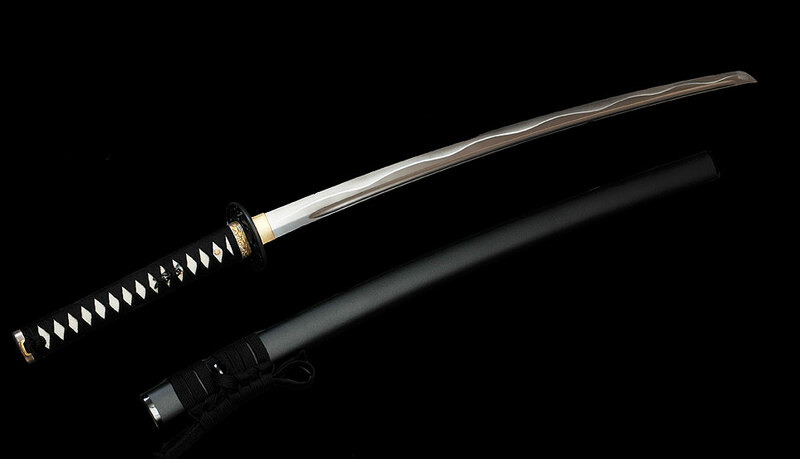 The Iaito consists of the blade, the Tsuka, Saya and many other small parts that are put together to form an Iaito. To form a good opinion for yourself we recommend that you try out as many Iaito as possible in your immediate vicinity. This way you can have a better opinion of what kind of Iaito that is good for yourself. 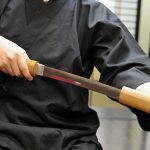 At Tozando we have many high level Iaido practitioners among our staff who together with our craftsmen, painstakingly makes each Iaito by hand once they receive an order. Because of this, we have many experts who are willing to offer their advice and opinions in case you need help, so don’t hesitate to contact us if you have any questions! We hope this small guide will help you to buy a great Iaito.